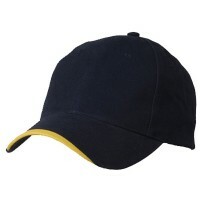 Two Tone Caps are highly functional apparel and everyone should have at least a pair of them in their wardrobe. If you are looking for a versatile cap that can fit with your style and also fulfill your needs, a Two-Tone Cap is great for you. Worn by sports fans and in today’s fashion, ball caps are popular worldwide. Its origins go back to the late 19th Century, during which an amateur baseball team wore the modern Ball Caps’s predecessor: a ball cap with a button at the top and a long peak. Since then, the ball cap has increasingly become more prominent, its popularity extending outside sports and into everyday wear. Two Tone Caps feature a rounded cap with a long brim attached to the front of the hat. 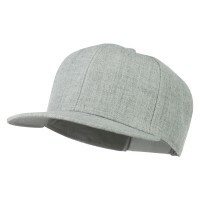 The hat is made of soft, light fabric, such as cotton, acrylic, or polyester. This fabric is sewn in six sections, and the two-tone cap often has a button at its top as well as small holes near the top of each section, making the hat breathable. 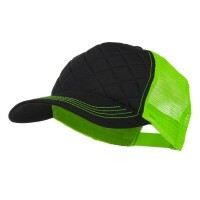 The ball cap features a variety of colors and designs, allowing the wearer to showcase whatever style they prefer. If you are tired of wearing Ball Caps with monotone design and colors, then two-tone caps are for you. You can wear them on a ball game or as part of your daily outfit. Here at e4Hats.com, we have a wide variety of Colorful Adjustable Caps for you. If you are looking for fashionable Two-Toned Cap, you can opt for the Designed Caps that looks very classic with its glamour and design. It is perfect for any type of street wear as they do not appear to have loud colors. The Long Bill Caps are among the utilitarian hats that you need to have. Not just to accessorize your look, but for maximum sun protection too. 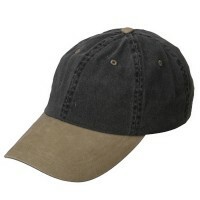 The Long Bill Cap does not only provide protection against the sun but it also provides a modern look to the entire hat. But if you want a more functional hat that you can take anywhere outdoors, the Trucker Caps is definitely for you. It is designed to protect you from the harmful ultraviolet rays for excellent sun protection. It is also breathable and it also comes with a chin string so it stays in place despite wind and strong movement.